The coaching we do in my workshop CHANGES LIVES, FAMILIES, FUTURES, forever! I show them how to do it. And – I will show more women this year than ever. Because I won at the game and I learned how NOT to lose. Not just on the surface, but in their subconsciousness (it’s what directs our every thought and action) and in their SOULS! BUT first… One more victim story. The GENDER PAY (and promotion) GAP! I see the real evidence of the gender pay and promotion gap EVERY DAY! 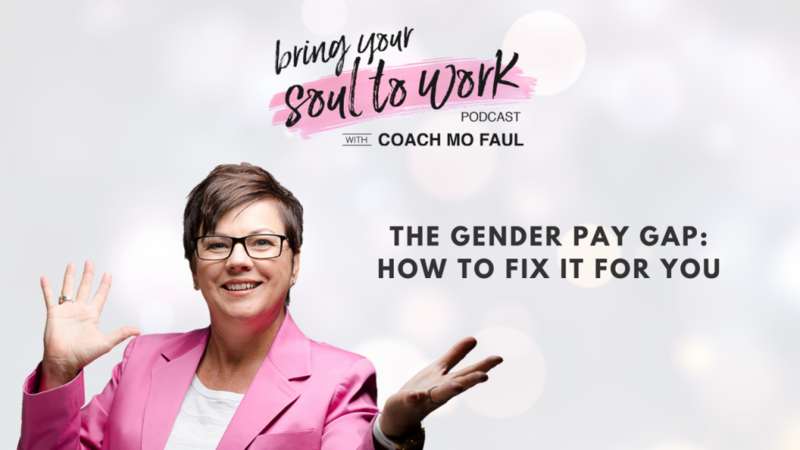 I talk to thousands of women each year on my Free Career Clarity Calls. As a team we will speak to over 3,000 women this year! THREE THOUSAND personally — and more! This is why we are judged too harshly for being BOLD, for being strong and for not being strong enough. The pain of the new breadwinner – by many sources over 50% of the households in the U.S. the woman is the breadwinner and many cases she is the ONLY EARNER. I am frankly sick and tired of women STILL getting treated unfairly. Being told to not speak up. Told to mind her own business. Told she isn’t ready after years of doing the JOB. TOLD she won’t be the Manager or Director or Dean or Vice President or needed any more. One woman, afraid to step forward– pointed out MILLIONS of dollars in contracts not being administered properly. She was hushed, she was told to fix it and she was told not to ruffle anyone’s feathers! Now, disrespected and hushed, she wonders why she feels so bad about herself. Now SHE IS ON TO A BIGGER CAREER MOVE! It is painfully, eerily familiar to ME! WHY do women still suffer at the hands of smaller paychecks, disrespect and inhumane treatment? Why do so many think women can’t run things (when we have forever)? Why do so many think we can’t handle big projects or money or difficult conversations or anything BIG? We can and we are and we will do and BE MORE! She reads the weak woman saved by the man. She reads the woman is finally saved by the man. He can do it for you. We don’t let girls do that. For women, for families, for the breadwinners…it is time to change the conditioning. It starts young and stays with us all the way up the ladder. Nursery school – where we are told to share. We are told a cold hard truth – he gets more time with it. Let him have it longer. DEEP DOWN – when we are the most vulnerable years of our life, we are programmed to not get what is ours. We are told to abdicate for the boys. We are told to give when we don’t want to – ”it’s what girls do!” RUBBISH! We are told to deny our feelings because boys won’t like us- because our girl friends will be jealous – because daddy wants his little girl safe. We are 100% programmed before we are 7 years old. Before that age our brain receives all the messages and all the programming that we are exposed to – ALL of it. After that age we reinforce the programming by gravitating to the experiences that match what we know to be true and AWAY from what we have learned to not be – we don’t want to be scolded, we know the rules. So we, most of us, go along and stay out of trouble and do the good work. We strive for perfection and working really hard because it gets us the most love. And then in school and getting good grades we feels awesome…until we don’t or a professor anchors in another gender discrimination or we want to be liked so we downplay ourselves. OR we are bold and we do take chances and all the while we are told to rein it in. I was class president in college and resident director. I like being in charge and I wanted to make things happen…so I beat out the boys. STOP Being so pushy, so bossy, who do you think you are?! I was put in my place all the time – and I was confused most of the time. I spent many of my years confused, but guided to be me mostly. Inside I trembled and wanted to be liked and wondered if I was going to have to be a different version of me to be happy and successful in life. Of course I picked nursing, it was the safe science pursuit for me at the time. I tried a few times to be different and not take charge, it didn’t work either. So, like a slow birth, pecking out of my egg…I kept experimenting with being me. I took risks and ventured into strange territory and took a quiet “WHO SAYS I CAN’T” approach. I got turned away A LOT! I got told NO OFTEN. BUT – I stood on the shoulders of women before me. I believed I could and I sometimes DID. I did more than many women I worked with. EVENTUALLY I learned how it all got put together. NOW it is what I do. NOW over 350 women have the tools to step in their power and BE and DO more. NOW over 350 families are better off and growing and living better than ever. Living better than ever first on the inside the SOUL must get brighter to handle this programming problem. Everyday changing the original programming that says, not you, not worthy, take care of others before you get yours. Truly loving ourselves and families comes when we learn to earn and be worthy and stand in our power. It is only then we can take care of those we love. This week: be aware of when the programming comes in and say NO. 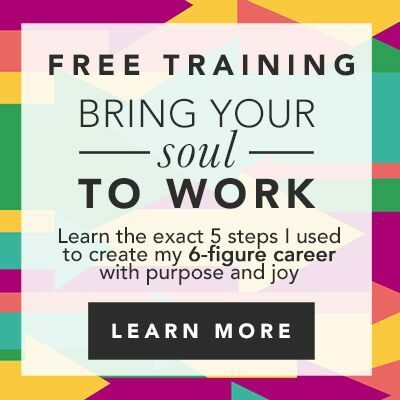 Schedule your FREE Career Clarity Call- if you have already, you know what you need. Help another to stand in her power and know she doesn’t have to work without recognition, she doesn’t have to be passed over and more is available. MOST women I talk to are confused by their external situation, don’t know what to do next AND/ OR are underpaid in a big way! CLAIM YOUR LIFE AND CAREER BACK! Start with your most valuable time finding our what’s really going on and what is possible! Money is waiting for you. CLAIM IT!